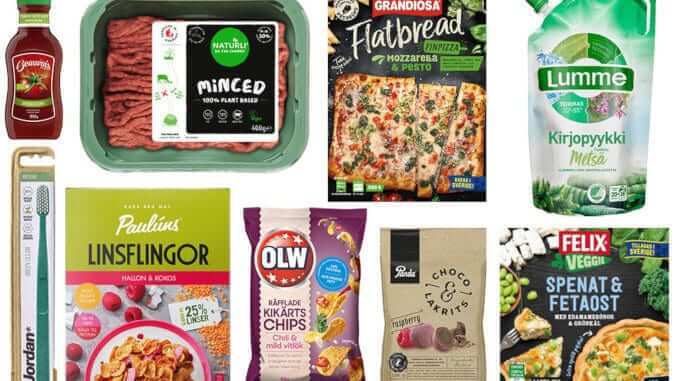 Scandinavian wholesaler Orkla has launched a wide range of new products across Europe, including many vegan alternatives. Orkla already offers a wide range of vegetarian foods through its various subsidiary brands, such as several frozen dishes under the Swedish Felix brand and plant-based burgers and vegetarian minced meat alternatives under the Naturli brand. Arve Heltne, Senior Vice President of Orkla Marketing & Innovation, recently stated the intention behind the latest product launches in a press release. “By introducing a number of new products, we are making it easier for consumers to make healthier and more sustainable everyday choices,” he said. Orkla’s main markets are Scandinavian and Baltic regions and selected Central European countries. The Orkla Group also has a strong presence in selected product categories in India. The market launch of the new product range is primarily aimed at consumers in Scandinavia. This is also where the Orkla company was inspired to launch its “Free from” products. “Food products free of additives and containing less salt and sugar have long been a trend in Scandinavia. Now we are seeing a general, ever-stronger focus on health in our companies in Central Europe as well,” explains Heltne. With the introduction of the new Orkla brand products, consumers who value animal welfare and eco-friendliness will find a selection of other products suitable for everyday use, such as the environmentally-friendly “Jordan Green Clean” toothbrush. This is now being introduced in all Nordic countries, and is made from 100% recycled material. Orkla also has an environmentally responsible answer when it comes to product packaging. “We are constantly striving to use less plastic and more recycled materials. A good example is the Klar series, where the bottles are made from 100% recycled plastic. And the brand Grumme is introducing Sweden’s first plant-based fabric softener in intelligent, environmentally-friendly packaging,” says Heltne.